At the recently ended “K-Pop Night Out,” held during the Europe’s largest music market Marché International du Disque et de l’Edition Musicale (MIDEM) in Cannes, France, what graced the ending stage was also the electro rock sound of The Ratios. Its vocalist Kim Ba-da, former lead vocalist of legendary rock band Sinawe, heated up the scene with electro-rock bangers, heightened by soaring vocals, electro sequences and thrashing beats. Overshadowed by K-pop for so long, K-rock now starts to show that it can also contribute to the Korean wave, as more and more music fans and producers find it a fresh alternative to the same-old idol packed K-pop acts. This year’s lineup for the northern America’s largest music showcase South by Southwest (SXSW), the most noticeable was the advance of local rock bands. Out of the 15 invited artists, seven are rock bands, including popular rock band YB, garage rock band Galaxy Express, synth-rock duo Glen Check, punk rock band No Brain and fusion rock band Jambinai. Although some criticize that the MIDEM and SXSW have been led by the Culture Ministry and the Korea Creative Contents Agency, for the reason that officials and not music industry experts are selecting the lineups for the K-pop music showcase, it seems that their efforts are beginning to reap tangible results. This year more musicians, especially rock bands, are making into the global music scenes. Some are recording their international debut albums, while other working on them partnered with big name foreign producers or managers. “Previous years, musicians showcased their music at the event and came back. This year they will stay there after the event for about two to three- weeks, touring cities like New York and Los Angeles to find business opportunities,” said Gi Myung-shin, general manager of the LoveRock Company. 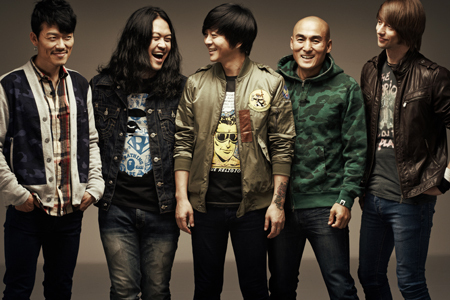 One of the first local bands waiting for the international debut is YB. 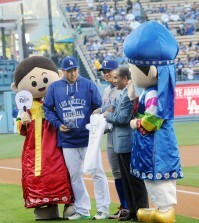 Its agency recently announced that it will unveil its first English-language title song on Feb. 18. Through the contract with Doug Goldstein, a former manager of U.S. hard rock band Guns N’ Roses, the band plans to gear up its promotion, it added. Rock band YB will release its first English-language single on Feb. 18. Partnering with Doug Goldstein, a former manager of U.S. hard rock band Guns N’ Roses, YB plans to gear up its promotion in the U.S. and the U.K. Following a showcase on the SXSW, it will be holding interviews and appearing on radio in both the United States and United Kingdom. Its first English single album will be around by this summer. Punk rock band No Brain is also working on its English album. It has been selecting songs for its first international album. Famous producer Julian Raymond who worked with multi-platinum American singer Josh Groban, is working with the band, while Sire Record and Warner Bros will be making and distributing the album. “No Brain is unique in performance. I think they have universal appeal,” said Seymour Stein, right, vice-president of Warner Bros and Sire Records president, when he visited Korea for the MU:CON Seoul last October. Stein is known as the man who made Madonna into a global pop-icon. Dance electronic rock duo Glen Check has tapped in Steve Lillywhite for its album producing. After the showcase on the SXSW, the duo will be recording songs for its album with the five-time Grammy Award winner and who has collaborated with such artists as the Rolling Stones and U2. Previously an acoustic indie duo 10cm also held their first U.S. concert at a 1,300-seat venue in Los Angeles in January 2014. This duo started in a club in Hongdae in 2009 and has become a very popular group for their acoustic sounds. 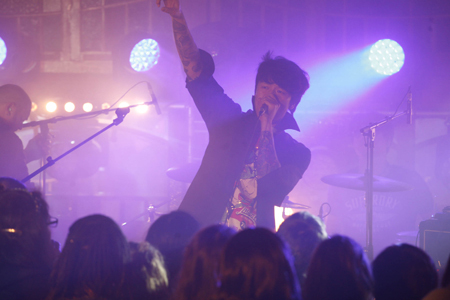 It was the first solo concert in the U.S. for a K-indie band, said its agency Ten Music. Local music critics say that electric bands like Glen Check and Idiotape and fusion rock band Jambinai are recognized highly for their uniqueness, while YB and No Brain are praised for its strength maintaining its identity in the rock-unfriendly local music environment. Four-member synthpop band Peterpan Complex will also play some gigs with Hugh Keice in London. One of them is “Discovery 2 presents Lola King & The Kickstarts + Desert Mountain Tribe + Hugh Keice + Peter Pan Complex” which will take place on Feb 24 and Feb 27. They has been also invited to perform at the music festival 2014 Liverpool Sound City in May. “A slew of Korean rock bands making inroads into overseas markets means that they have potential to be sold as popular music products to the western music businesses. Unlike K-pop-strong Asian market, the western market where band music is deeply rooted might have found that K-rock bands can appeal both Asia and western audiences,” said pop culture critic Seojeongmingap.